There are two times a year when I clean my home from top to bottom. Can you guess what they are? If not, they’re spring and fall. 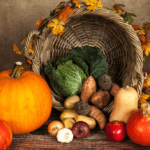 I clean with the holidays in mind when I do my fall cleaning. I know it’s a time when I’m too busy to stop and do a full out clean so I get ready ahead of time as soon as the air starts feeling cooler. For us, here in Georgia, it has just recently started feeling like fall. The cool weather put me in a cleaning mood and I dove right in to my fall cleaning chores. 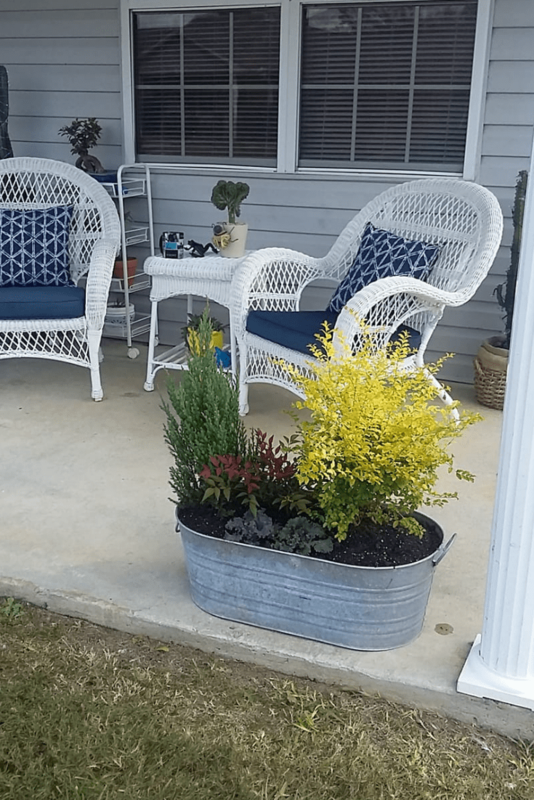 When I clean I start outside, front and back, by getting my porches clean. My front porch is especially important because it has the door my friends and family use to come indoors. I love all of the holidays so I try to add new plants for each season, or some type of decoration. This year I decided to add some fall colored plants in a bucket. 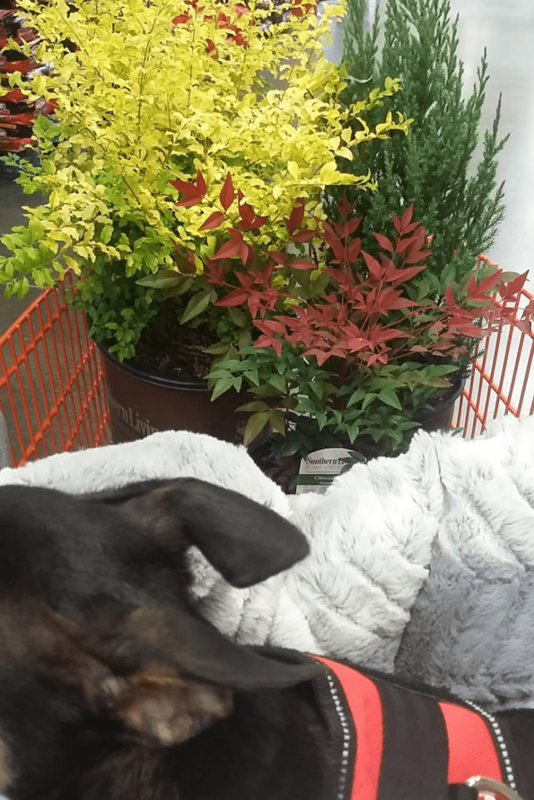 I headed to Home Depot (with Peanut in tow of course) and I picked out some pretty fall colored shrubs. I love how they look together in my bucket. After getting my porches in order, I then headed indoors where I started at the very top (yes even the ceiling got a good brushing) and I didn’t stop until every floor was squeaky clean (and everything in between). 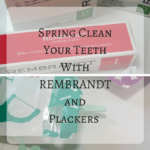 As I did during my spring cleaning, I used Mean Green to make my home smell and look good. 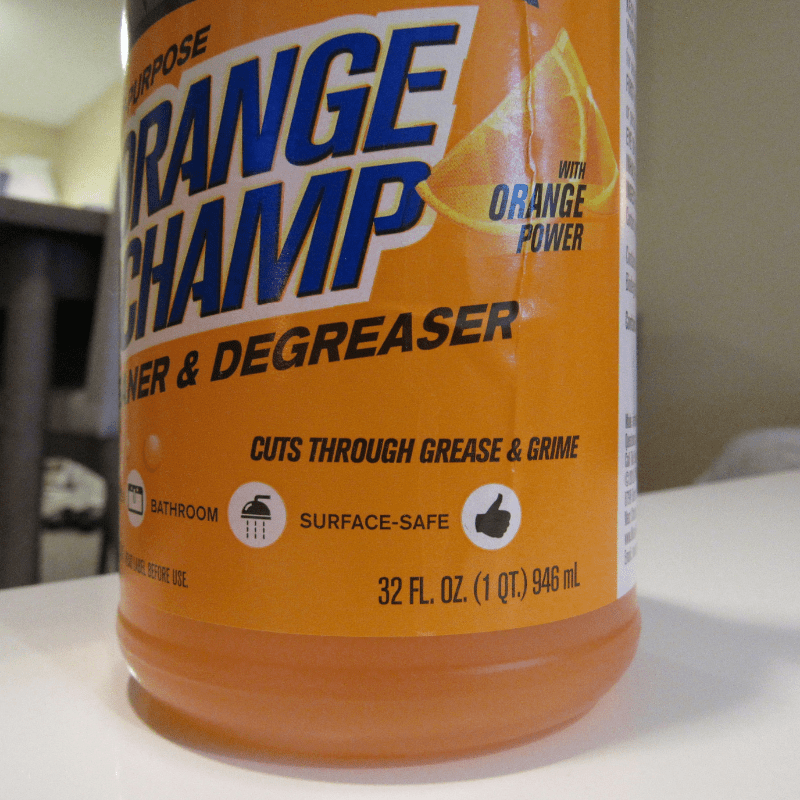 And in case you can’t tell from all of my posts, I’m obsessed with Orange Champ. I use it on everything (it’s surface safe), I even wash all of my walls and doors with it. It leaves a lingering pleasant light orange scent and I just can’t say enough good about this product. In case you’ve missed any of my past Mean Green posts, I’ll add links to them below. I’m required to disclose that I’m a Mean Green Ambassador. How exciting it is that I get to promote products that I use and highly recommend on an everyday basis. I get to try their new products and receive free samples for posting my honest opinion, and I share with all of my neighbors. They’re now tried and true Mean Green users. Like me, they’ve had nothing but good things to say about the products. In fact, I have one neighbor that thought she needed to get her tub painted, but I showed her what Mean Green could do in the tub and it saved her a lot of money. She now uses Mean Green throughout her home and she can’t stop raving about Mean Green Foaming Bathroom Cleaner with Bleach to any and every one who will listen to her, lol. It makes me feel warm and fuzzy when I can help someone such as her (cancer & brain aneurysm survivor) who needs products that work quickly. She’s spent a lot of time being sick and now it’s time for her to have some fun. There’s one product that I’ve been using recently that I fell in love with after just one use, that I really have to brag about. You see, I am a neat freak and my kitchen sinks were causing me embarrassment because they never looked clean. I’d scrub them, dry them, fuss at them, and they’d still look dull and dingy. But that’s not the case any longer thanks to the introduction of my new Kitchen All Surface Cleaner. It cleans everything and it makes my kitchen sink look so much better every single time I use it. And best of all, there’s NO bleach, acid, or ammonia in it, at all. So it’s easy on my hands which dry out with harsh chemicals. 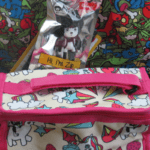 Mean Green has some new products out and I hope you’ll take a second to hop on over to check them out. While you’re there, click on their social media sites to follow them for news, updates, new products, and promotions. I’d love to know what your favorite Mean Green product is or how you get ready for the holidays. 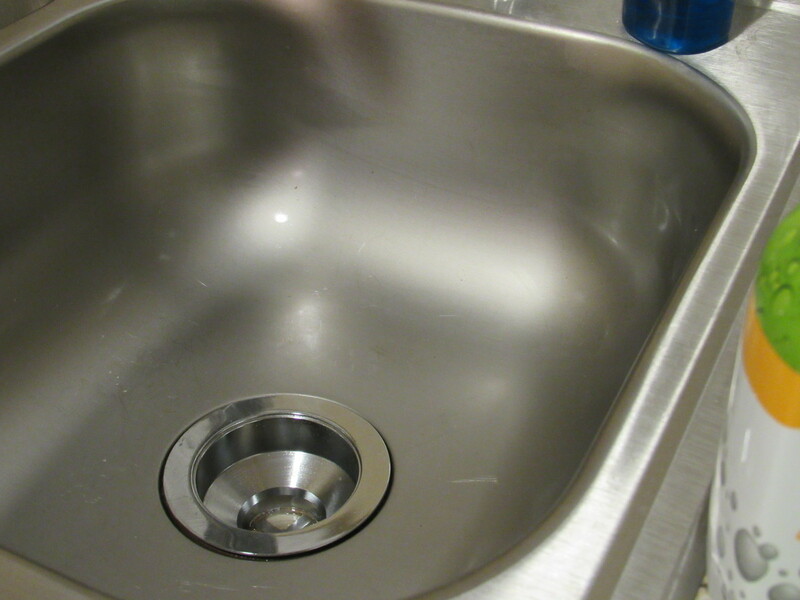 I am always in look for good product to clean my kitchen sink, it gets dirty most of the time. I tried various cleaners over time. I would like to try this. That looks like a perfect cleaning products to have in cleaning the house most especially to those tiles and sinks that has a thick stains, I will definitely check this product! I’m not sure it’s available here but I will definitely check it out. For the holidays, we make sure everything is sparkly clean! It always feels so good to do a deep cleaning. This mean green product looks like it works really well. We do a deep clean of our house every month and I think Mean Green products would be something we could use. I have heard of their stuff before and how great they are! I need to get into a deep fall clean before dragging the Christmas decor out! Oh gosh I am feeling a deep cleaning coming on and I need to get some of this Mean Green to help me! Thanks for the great review! I have always heard about Mean Green but have yet to try it. Now you have me wanting to get out and find it to stock up on for my New Years cleaning. It’s about time for my “Christmas Cleaning” that I always do. I need to pick up some Mean Green products and get started. I haven’t heard of this before. I’ll have to pick it up. I always like to find products that can help me clean. I don’t think I’ve ever used Mean Green before. I have to look into giving it a try. It was great to know about a new cleaning product. I will use it for sure for my next cleaning. I love that you can use it on everything! Wow! I am very impressed with Mean Green. I’ll have to look for this! It sounds like an awesome cleaning product. My mom swears by Mean Green. I’ve never bought it but I think it would be perfect for my holiday cleaning. We just moved one of the deep freezers and it left some rust marks on the tile. I think Mean Green may remove it. May have to check it out. This sounds like a fabulous product. 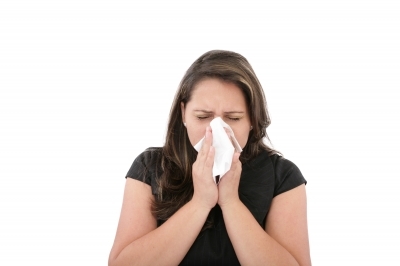 We like to do a thoroughly clean our home once a month because of our three kids and cat. 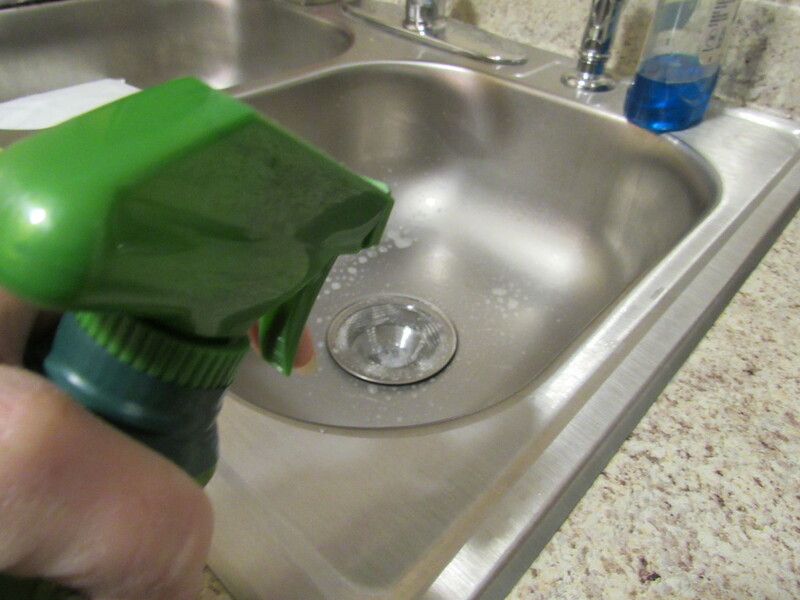 I love to use the Kitchen and Surface cleaner as the kitchen gets dirty quickly. 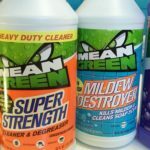 I’ve always liked using Mean Green to clean and I need to check out the new products. Yes, I’ve been deep cleaning preparing for the holidays. I need to finish up today and I’ll start cooking this afternoon. I love a good cleaning product. I bet this would help me get that icky mess off my microwave hood!